Former Gor Mahia striker George Blackberry Odhiambo might sign a six month contract with Nairobi City Stars in readiness for the coming season. The player who was released by Azam in July has been a free agent since and could be featuring in the Kenyan Premier League after two seasons. Blackberry left Gor Mahia in 2010 after a successful year in which he helped Gor Mahia finish second in the league as well as earning himself the player of the year accolade. He joined Danish side Randers FC but was unable to break through the ranks. 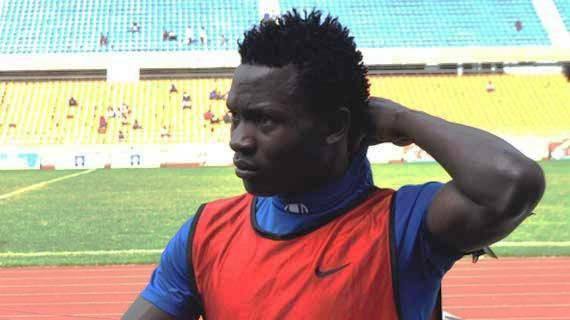 He later moved to Tanzania where he signed with Azam but did not stay for long as his contract was cancelled over what the club termed as “indiscipline”. “Blackberry has been training with us and we have agreed with his agent that we might sign him for six months so he can get back his form,” Nairobi City Stars Team Manager Lawrence Njenga told michezoafrika.com. His agent is said to be in touch with European Clubs in a bid to take the player back for a professional stint and playing for City Stars is meant to regain his fitness. “He is a good player though his form had slightly dipped but I believe he can get back to his best and he will be a good addition to the team,” says Njenga. At the same time, City Stars are set to conclude their trials and will name their final season team next week. Among the players who are hopeful of getting a chance in the team are former Sofapaka, AFC Leopards and Gor Mahia Congolese winger Demonde Selenga. City Stars are set to drop five players from the team.